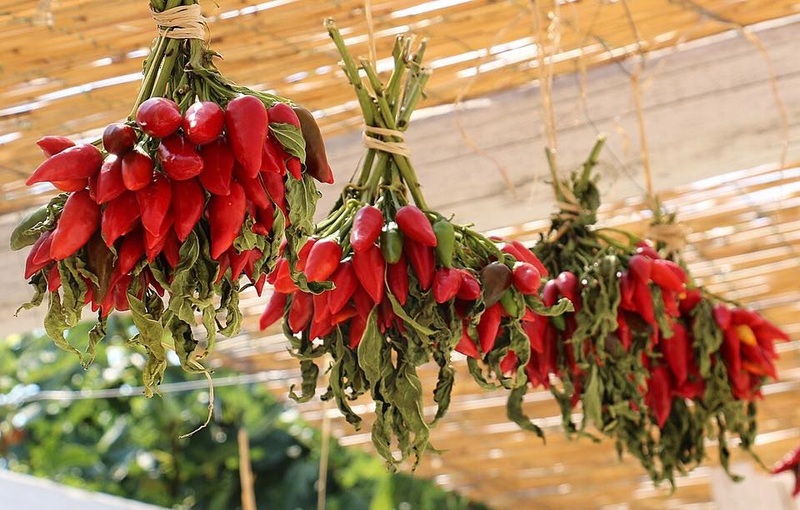 At the end of September the vegetable garden turns red and it’s time for chilly. 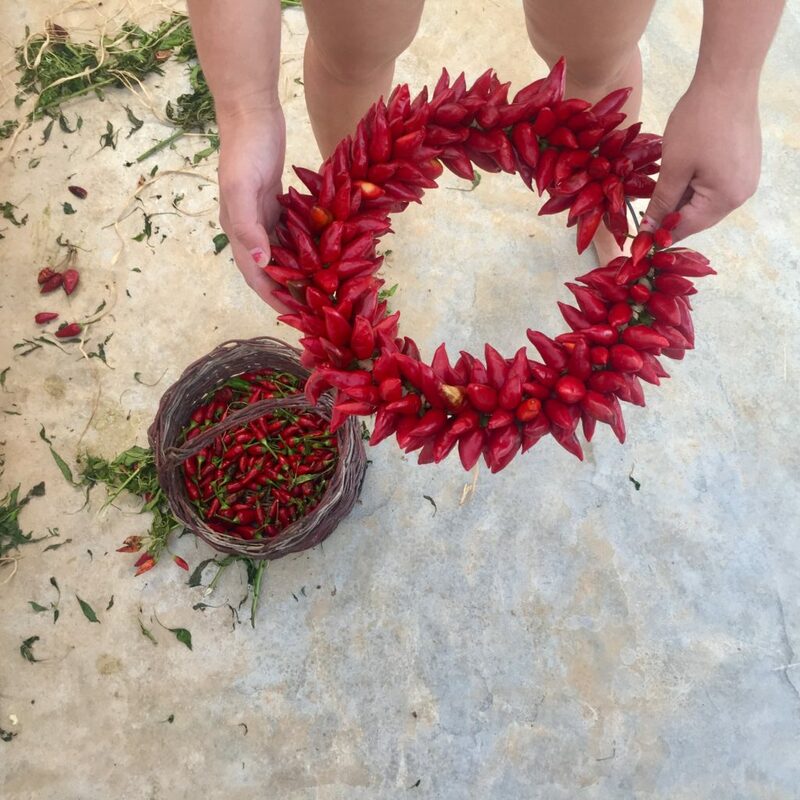 We plant more than one hectare of chillies to prepare our delicious jam to spread and taste with fresh ricotta, to dry it, to use it in our winter recipes and above all for our beautiful wreaths perfect to set up our tables in winter , adorn the spaces of the house and give a good wish for Christmas. 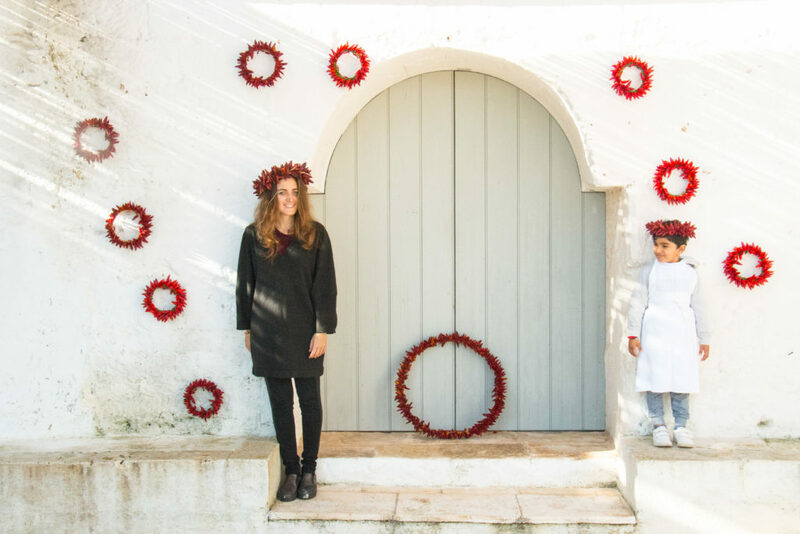 All products and wreaths made during the summer are sold as Christmas gifts and shipped throughout the world. 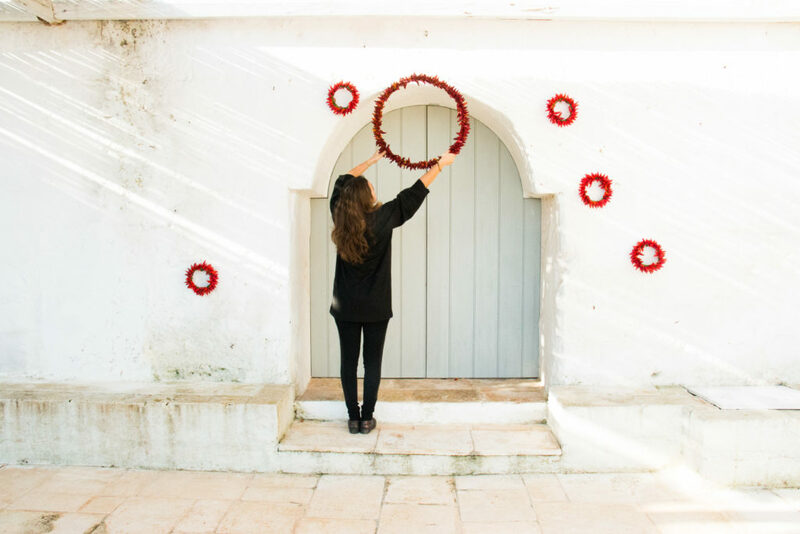 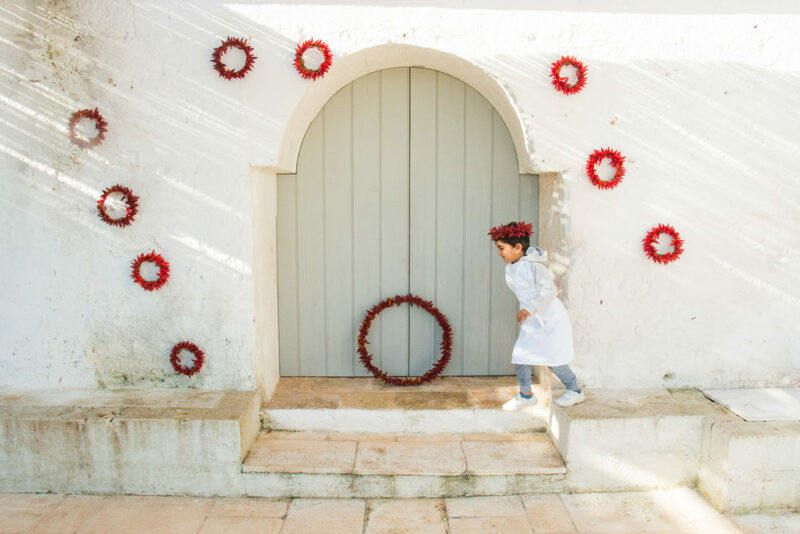 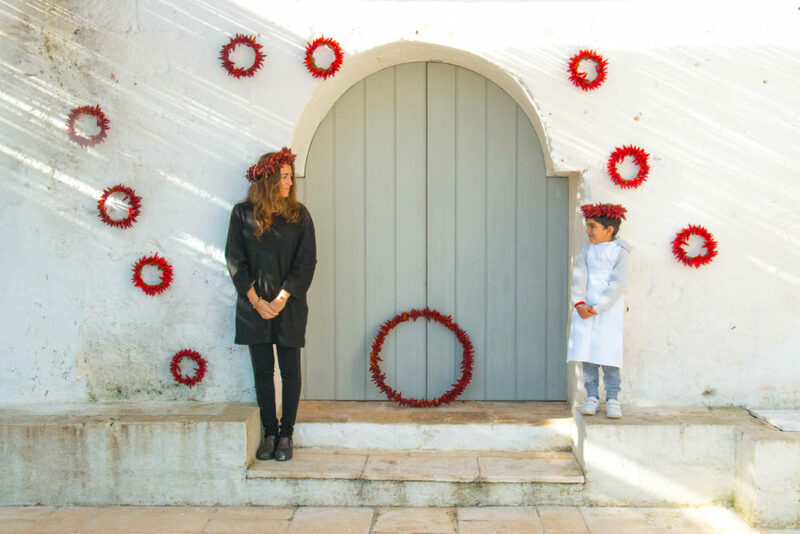 Here are the pictures of our wreaths being prepared and I and Nur that we prepare for Christmas decorating the whole masseria with our chilly wreaths.